DBN | SAVED BY THE BELL for education all around the world! 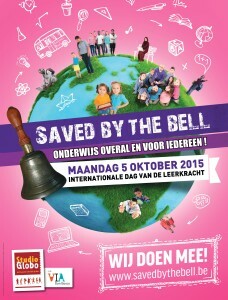 SAVED BY THE BELL for education all around the world! DBN»News»Advocacy»SAVED BY THE BELL for education all around the world! School year has started! Sadly despite the global effort to ensure education for all, still 121 million children and adolescents do not attend school. SAVED BY THE BELL is this amazing initiative of VIA Don Bosco to raise the awareness of our kind, their parents and teachers about the education difficulties their peers experience all around the world. In developing countries more than one child in four does not finish the last year of primary school. These are mainly young people from poor families, especially girls, and young people from rural areas. Also, ethnic minorities and young people with disabilities are often excluded from the education system. Worldwide, 250 million children cannot read, write or count. Nevertheless, half of them have followed basic education. It is not enough to show only compassion for the fate of these young people, deprived of quality education. Action is needed! We must demand that Article 26 of the Universal Declaration of Human Rights is respected everywhere: “Everyone has the right to education”. As citizens it is our duty to not only show our solidarity with students and teachers around the world, but also to let our voices be heard. Together we request those in power to emphasize on the necessity of better access to quality education and the resources needed to achieve this. Our Belgian partner organization VIA Don Bosco organizes an awareness campaign among secondary school pupils for the right to education all over the world. Last year, more than 400 schools participated! You can join us too! 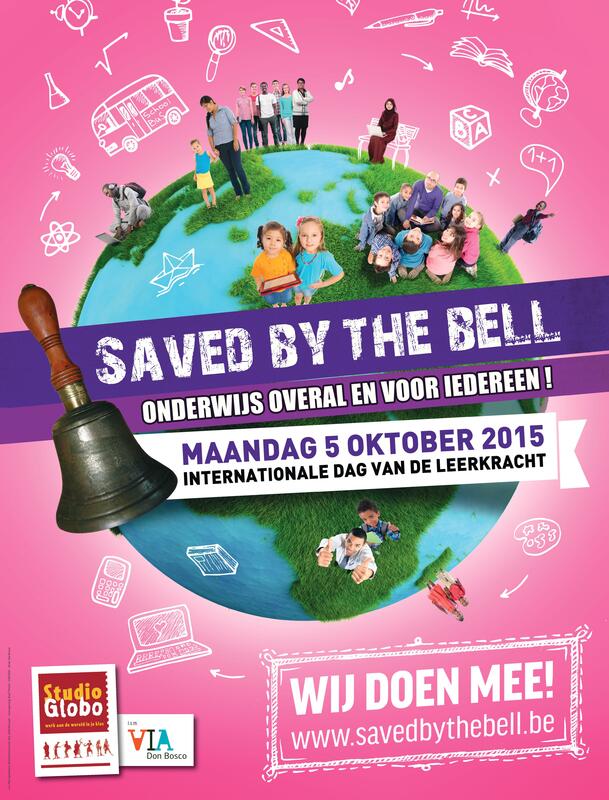 On Monday 5th October 2015, you can have your school “ring the bell” as part of the “Saved by the Bell” campaign for better access to quality education! · Demonstrate our solidarity with teachers worldwide working in difficult circumstances, and with the 121 million of children and adolescents who haven’t got the chance yet to go to school. · Request the Governments to take the necessary steps to ensure they fulfil their commitments to development aid and contribute to the achievement of the Sustainable Development Goals for the right to education for all. NOW, WHAT TO DO ON 5TH OCTOBER? · Read a text to create awareness: principals or teachers read “Thought for the Morning” during assembly or in a class to make them aware of the right to education for all. · Organise a symbolic and visual action: according to your own imagination. Various types of visual actions are possible: a photo of pupils waving an object symbolising education or the poster “Saved by the Bell”, a video where pupils express the importance of education or singing for the right to education, flash mobbing etc. Let your creativity flow. But, most importantly, share the result with us on Facebook (on your own fanpage, on Don Bosco Network fanpage and “VIA Don Bosco asbl” fanpage).